Home / Electoral Commission / Movies / Opinions / USA / Videos / Voter Fraud / Our Voting System Is Faulty - Time To Fix It Now - Not In 2020. Here's How. Our Voting System Is Faulty - Time To Fix It Now - Not In 2020. Here's How. 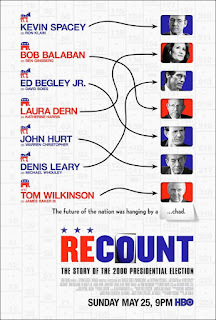 After a recent period of binge-watching "House of Cards" (the US-version) we noticed a link for a film we'd not seen: 'Recount', the Kevin Spacey film about the US Presidential Election in 2000, when - many still say - the Republican Party 'stole' Florida from Democrat Candidate Al Gore, thus narrowly winning the 2000 Presidential Election. You have to try to catch this film. 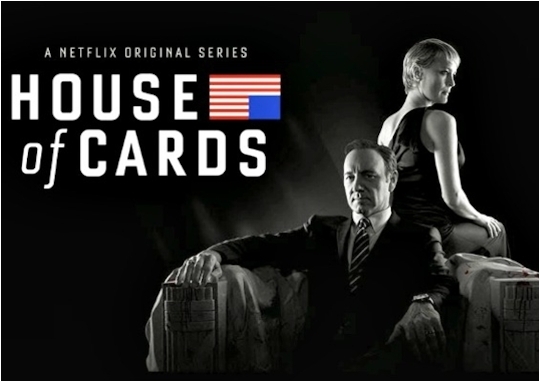 Apart from being one of Kevin Spacey's best, it's a valuable insight into American Politics. And it might prepare you for an incoming storm if anything similair should happen in 2016. 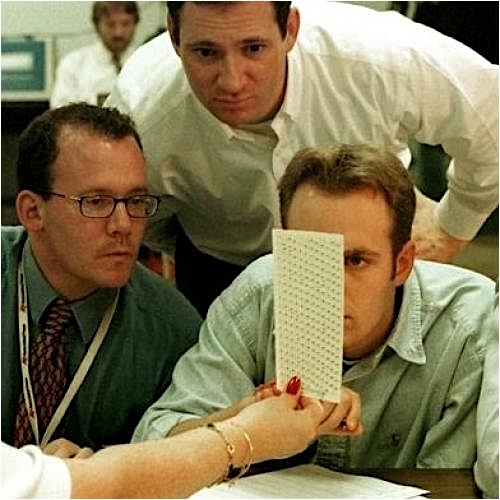 The Florida vote - and the Presidency itself - was ultimately settled in Bush's favour by a margin of a mere 537 votes when the U.S. Supreme Court, in Bush v. Gore, by a margin of just 5 to 4, stopped the Recount Process that had been ordered by the Florida Supreme Court... a recount which it was later determined may well have handed Florida, and the Presidency, to Al Gore. 'Butterfly ballots', 'hanging chads', 'dimples', 'ballot punch misaligments', 3500 Al Gore votes going to Independent Candidate Buchanan .. and an illegal purge of 57,746 voters ordered and paid for by Republican Florida Secretary of State Katherine Harris (colleague of George Bush's brother, Jeb) all added to the chaos. In the end it came down to a 'judgement call' on recount halts and timescales by Katherine Harris, upheld - just - by the Supreme Court. In short: Republicans delayed the process just enough ... that time simply ran out. One of the issues it highlighted was the crazy state of US Election Laws. Different systems, different machines, different adjudication standards, and different laws in each state. Ironically, Gore would have won Florida easily had Florida had the same standards and laws as Texas, laws which had been introduced by the then-sitting Texas Governor .. George W. Bush. We can laugh .. but our own Electoral Machinery is no less flaky. We rarely agree with Ukip but one one thing we do agree: Our Electoral System is too outdated and open to fraud from many directions (Note; we are talking here of the actual Voting Process on the day, not other factors such as Candidate Selection, Election Spending, etc). It is simply time for a better mechanism, more suited to the 21st Century. Tradition is a fine thing, but we must move on. good, try to check it out. The problem is, no-one thinks about this until the run-up to a General Election, by which time it's too late to create, test, trial and roll-out a new system. So we need to do it now. A National Election Data Collation Centre staffed with IT experts. We need this to be trialed for local Council Elections, then By-Elections, before it's introduction in 2020. And we need to start now. Else one day we, too, will have a 'Florida 2000' to content with. 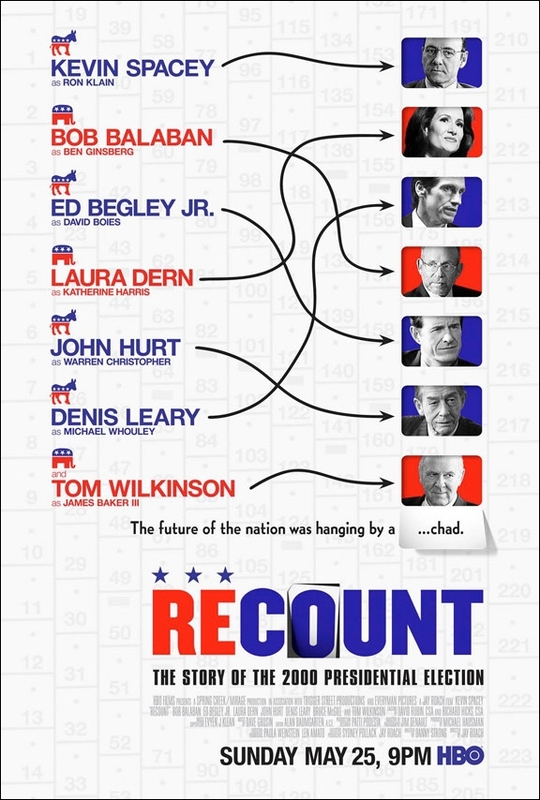 If you want to watch 'Recount' - and we heartily recommend it - it's here on the HBO site. You may have to pay.